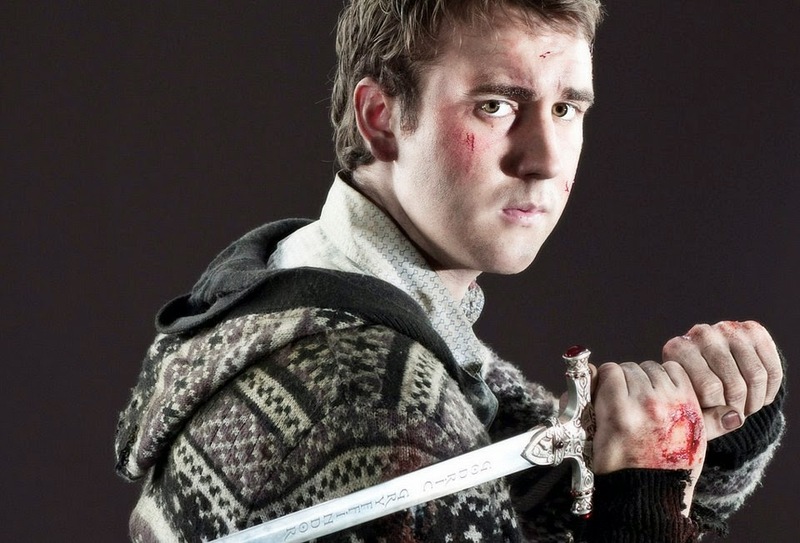 SEGRETI DEL WEB: Neville Longbottom's Own Harry Potter Spin-Off...? Neville Longbottom's Own Harry Potter Spin-Off...? You'd have to look pretty hard into the world of fantasy to find a braver, truer soul than Neville Longbottom. In recent years when the world realized that li'l Neville got totally hot, and Matthew Lewis has joined the comfortable ranks of Harry Potter kids who will always be popular - but could that be taken even further? If it came to it that I was offered that sort of deal – I want to say I’d consider it – but I’d probably jump at the chance, absolutely. I’m not itching, just yet, but I’d absolutely, definitely consider it, and love to be considered for it. J.K. Rowling has confirmed that, after the events of Harry Potter and the Deathly Hallows, Neville becomes the new Herbology professor and marries Hannah Abbott, the Hufflepuff student who takes up the mantle of barmaid at The Leaky Cauldron. What do you guys think of a Harry Potter spin-off?